You probably also needed some time to display a module in a Joomla article. This Joomla Tip will explain to you how to do it. The Tip has been tested on Joomla 1.5 in Legacy as well as in Native mode. Only condition for it to work is that the default Joomla plugin called "Load Module" is enabled. 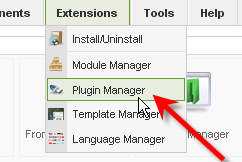 To check if the "Load Module" plugin is indeed enabled, click on the "Plugin Manager" from menu "Extensions". In the list of installed Joomla plugins look for the plugin with the title "Content - Load Module" and in case it isn't enabled, enable it.